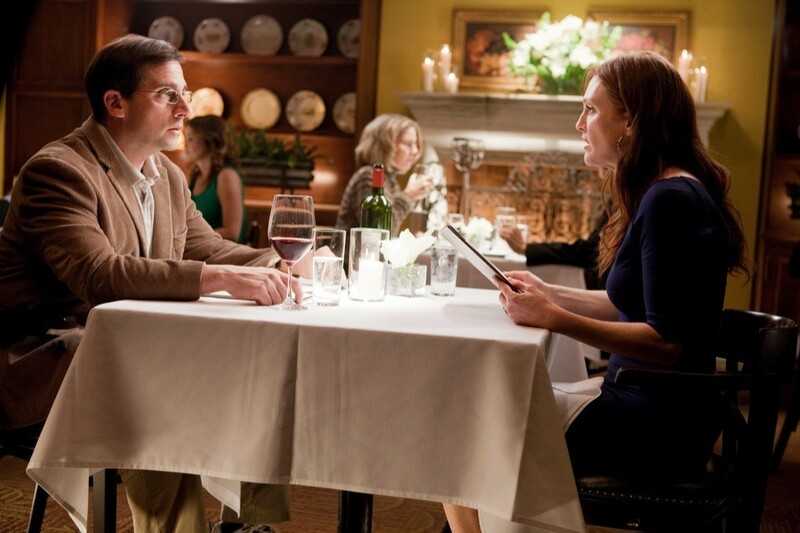 Julianne Moore makes a cuckold of Steve Carell. In the sharply tuned rom-dram-com Crazy, Stupid, Love (currently on Blu-ray and DVD) our sad sap of a hero Cal Weaver (Steve Carell) remarks – while lamenting the disintegration of his marriage after his wife (Julianne Moore) reveals she’s been cheating – that no one ever seems to use the word “cuckold” any more. But that’s what he is. A cuckold. In Alexander Payne’s shockingly bleak and depressing dram-dram-com The Descendants (currently in theaters) Matt King (George Clooney) is a cuckold, too, only his cheating wife is left in a coma after a freak accident.